Lynnfield Dental Associates is one of only a few practices to offer the CEREC® Dental System, the world’s only system for the fabrication of all-ceramic dental restorations in just one office visit. With this cutting-edge technology, you can leave the office with a permanent, natural-looking crown, onlay or veneer in less time than you thought possible! CEREC® frees you from much of the hassle of traditional dental restorations. This means fewer injections, less drilling and much less time out of your hectic schedule for dental care. Previously, dentists had few options other than amalgam, gold and other metals to repair decayed and damaged teeth. The CEREC® Dental System uses strong, tooth-colored ceramic materials to restore your teeth to their natural strength, beauty and function. A CEREC® tooth restoration isn’t just convenient; it is also the wise choice to protect the health of your teeth. A great benefit of this new technology is that it can help prevent your teeth from cracking. CEREC® closely matches the composition of natural tooth structure; this means that the restoration material and tooth expand and contract at almost equal rates in response to temperature changes caused by hot or cold foods and beverages. This puts significantly less stress on the teeth than traditional metal restorations. Also, because CEREC® materials are chemically bonded to the tooth, less drilling is required to accommodate the restoration. This allows us to save as much healthy tooth tissue as possible while also strengthening the tooth’s structure. 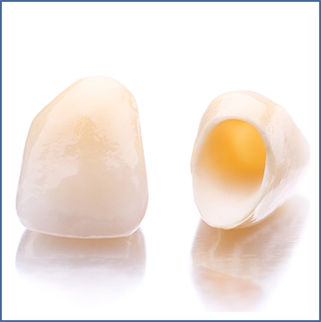 CEREC® restorations are highly durable. With proper care, they will last a long time, but as with most dental restorations they may someday require repair or replacement. Feel free to contact us with any questions about how we can give you a beautiful crown, onlay, or veneer in just one visit with cutting-edge CEREC® technology.